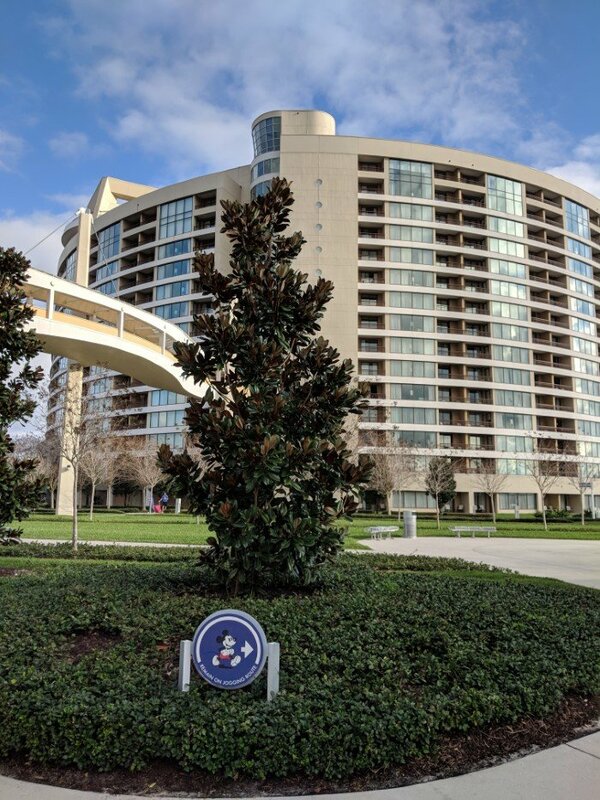 Have you ever stayed at Disney’s Bay Lake Tower at Disney’s Contemporary Resort at Walt Disney World Resort in Orlando, Florida? 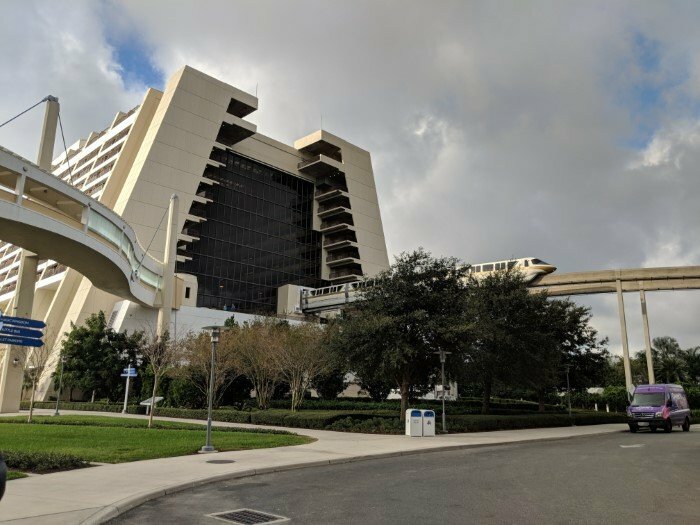 It is technically part of Disney’s Contemporary Resort (the hotel near Magic Kingdom that has the monorail running through it), but it its own separate monorail-less building. 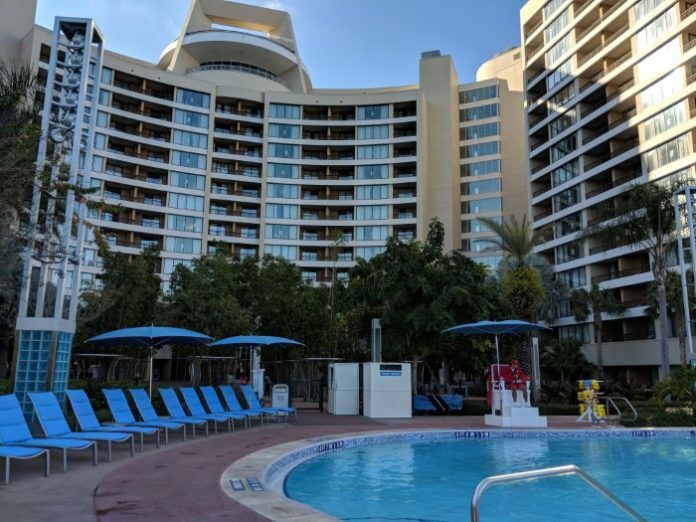 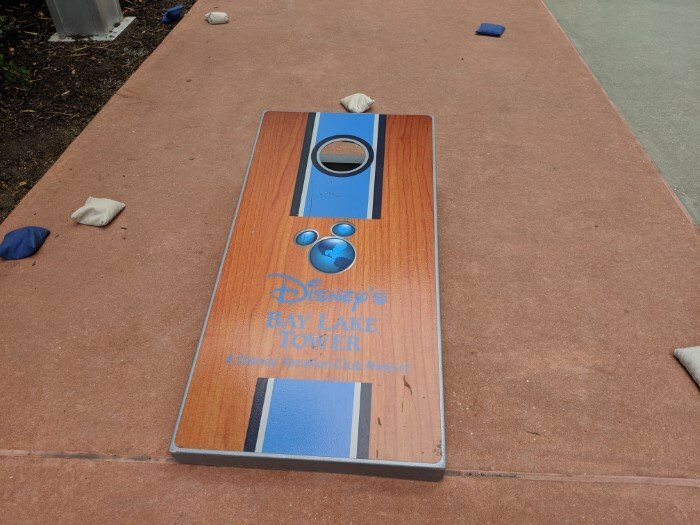 It opened in 2009 and is a Disney Vacation Club building – but you do not have to be a Disney Vacation Club member to stay there (for more information about how to book a room at a Disney Vacation Club resort, watch this video). 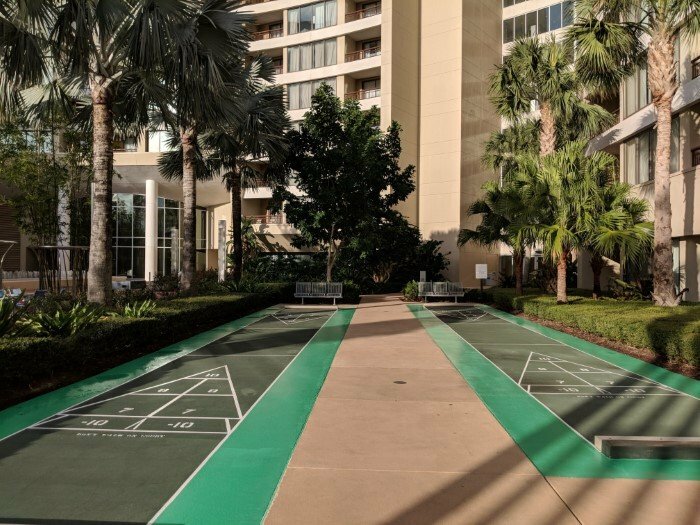 There are so many great things about Bay Lake Tower, but the best has to be the location. It is only a short walk from the Magic Kingdom, and it is the only Disney hotel where you can say that. 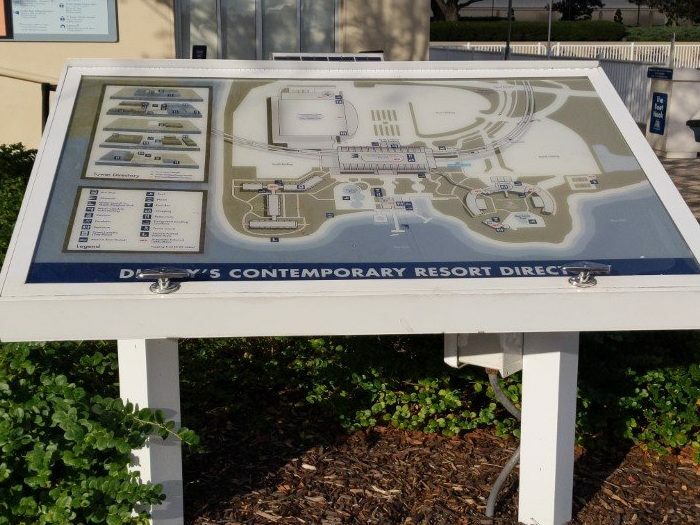 It is actually a bit closer to the Magic Kingdom than the main Contemporary Resort building. 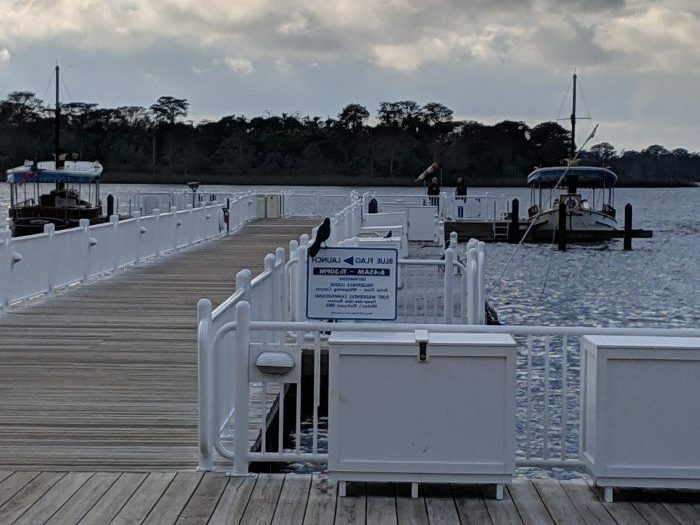 In addition to the fact you can walk to the Magic Kingdom, you can also easily take the monorail or a boat to Magic Kingdom. 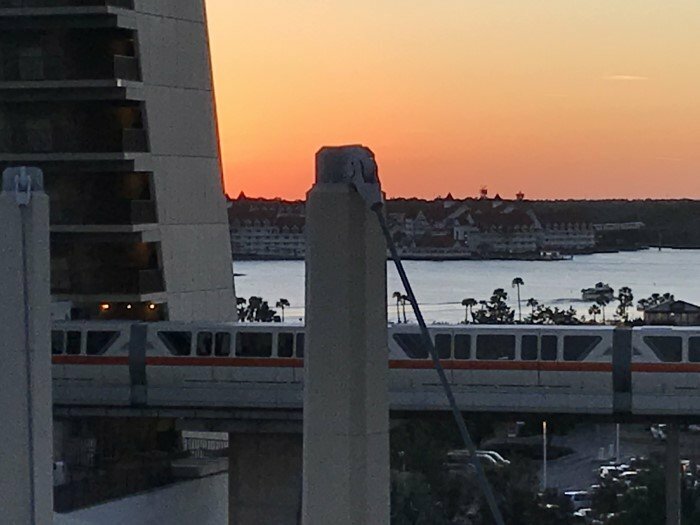 The monorail also can take you to Grand Floridian & the Polynesian Resort & the boat can also take you to Fort Wilderness & the Wilderness Lodge, and this gives you a lot more flexibility in dining. 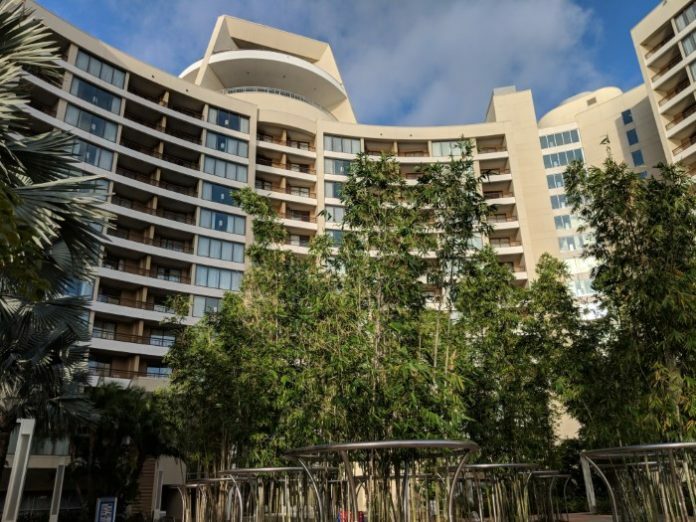 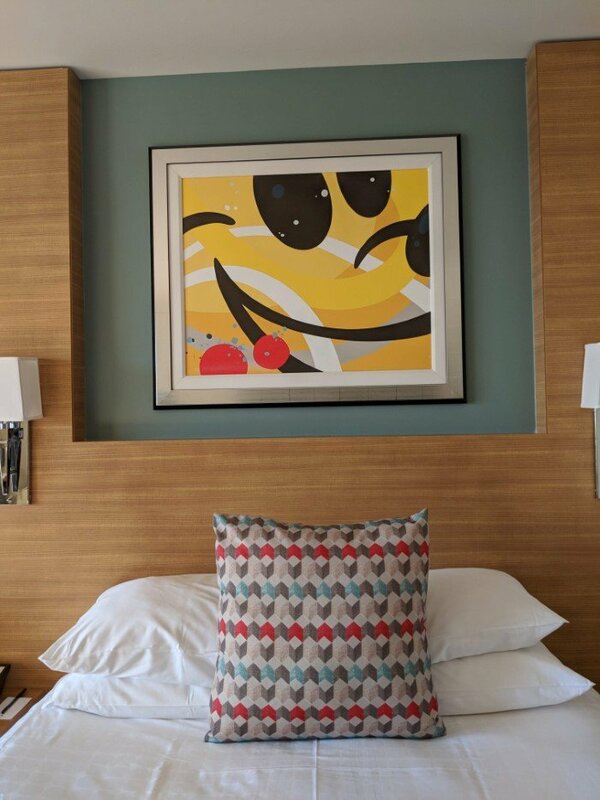 You can also take the Monorail to the Ticket & Transportation Center and then from there get to EPCOT, so this is a great hotel to stay in if you love Magic Kingdom & EPCOT. 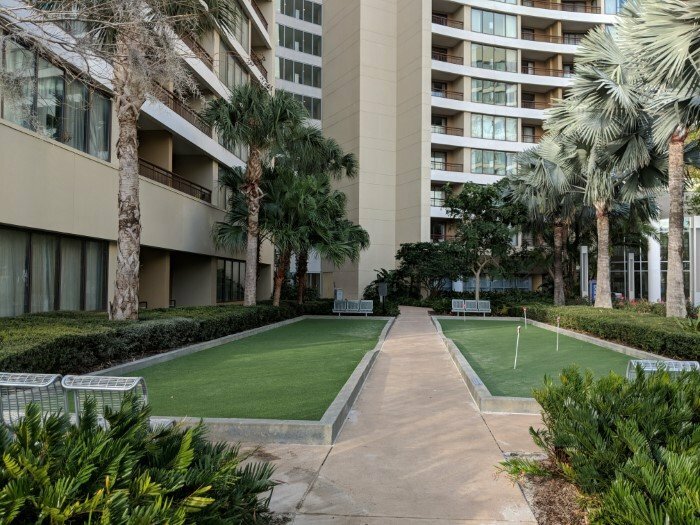 Basically, everything you need for the hotel is in two buildings, which makes it incredibly convenient. 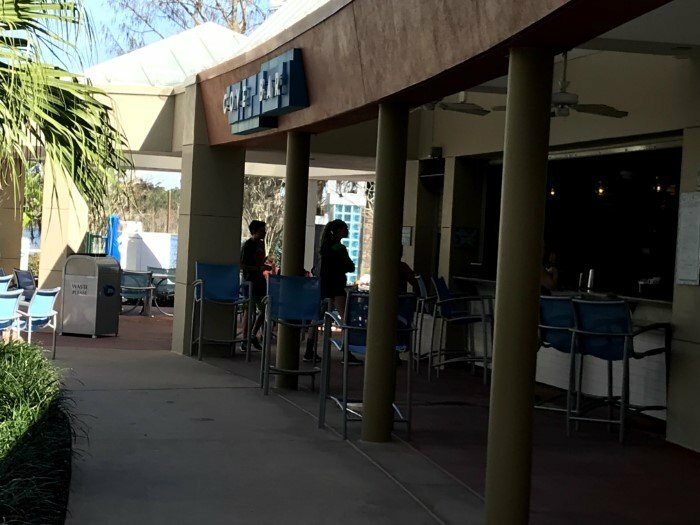 You can take a covered walkway to the main Contemporary Building for dining, the monorail, etc.,, so it is really nice to stay here when it is raining (and that is quite often in Florida). 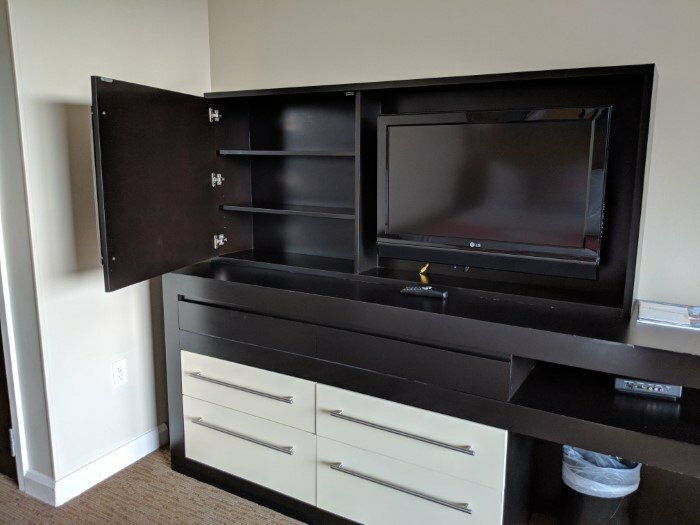 You don’t have to worry about getting soaked on the way back to your room. 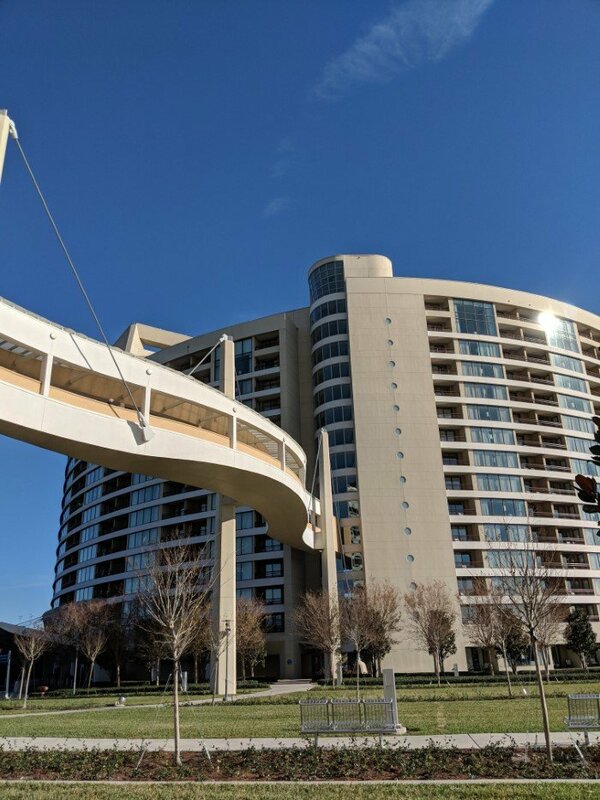 Another thing that makes Bay Lake Tower so convenient is that it’s all in one building. 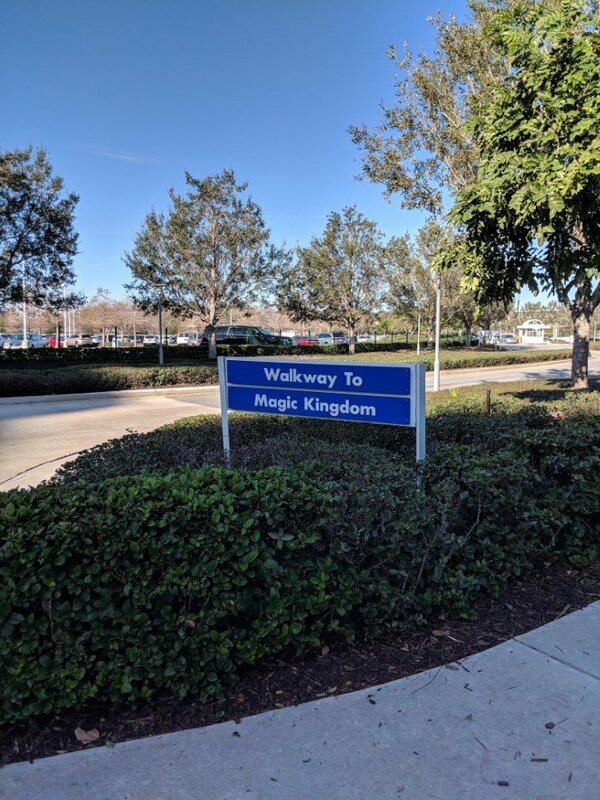 Some of the other Disney hotels are spread out and while the resorts are beautiful, it can make for a lot of extra walking, not to mention you can get a bit lost at night trying to find your hotel room in the dark. 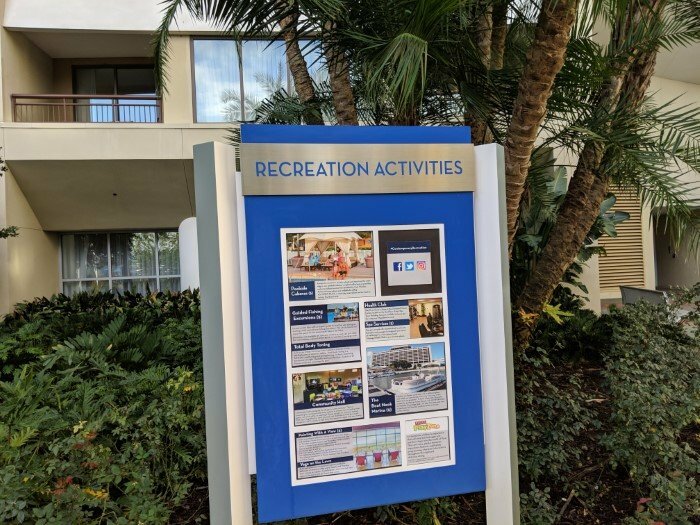 Since everything is in one building, you can easily get back to your building and then it is a lot easier to find the elevator and your room. 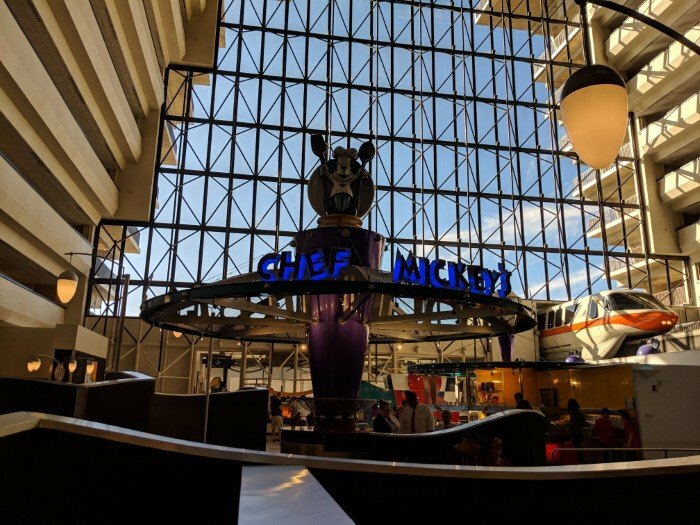 Even though you are so close to the monorail running through the Contemporary building, you are in a separate building which is quieter, more relaxed and more peaceful. 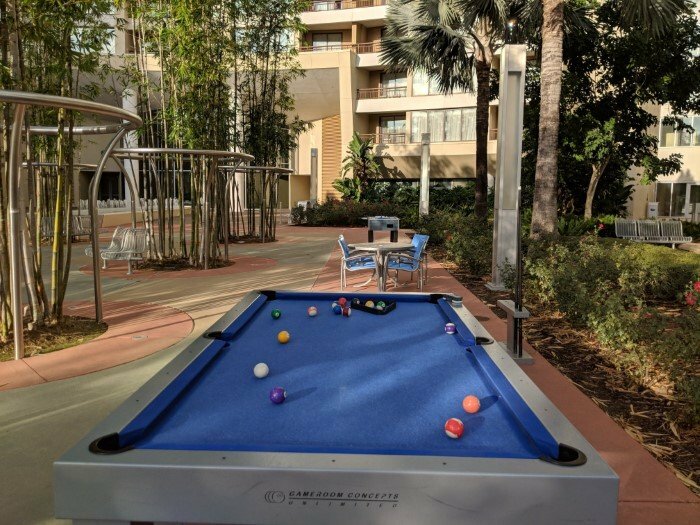 But since you are so close to the Contemporary, it is like you are able to get all of the advantages while still being in a peaceful setting. 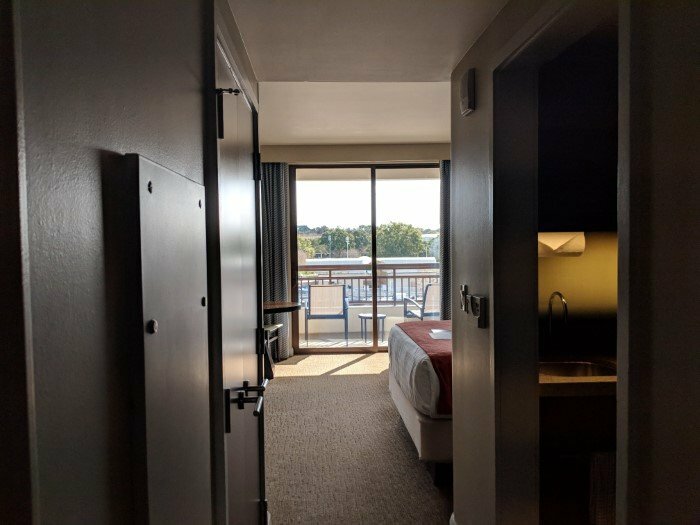 There are so many amazing views you can get from the rooms. 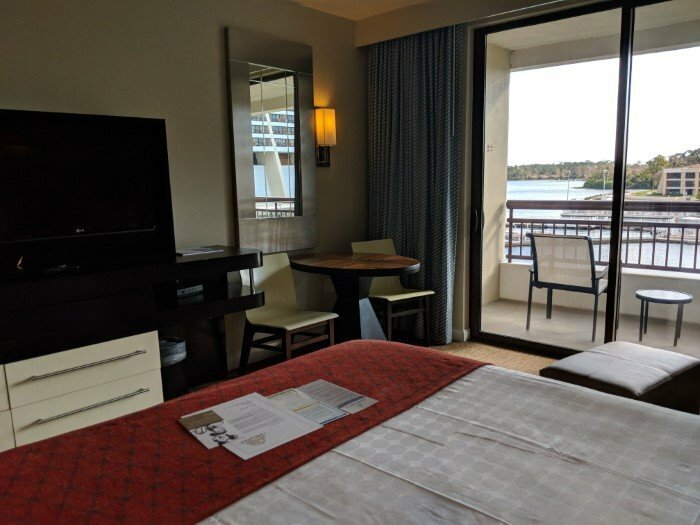 The first time I stayed here I got a great Bay Lake view where I could also the Wilderness Lodge, Grand Floridian and even the Magic Kingdom. 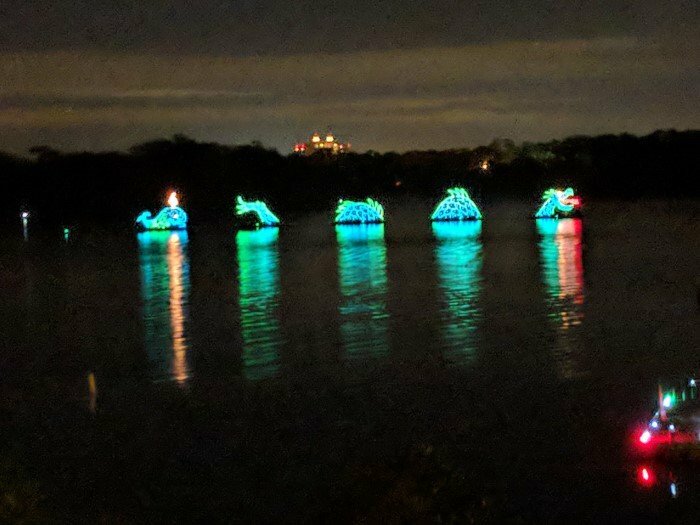 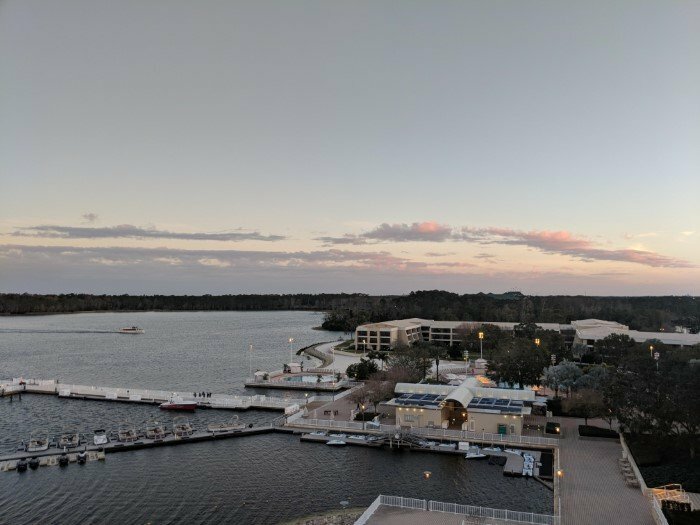 The second time I stayed here with a lake view, I could not see the Magic Kingdom but I got an amazing view of Bay Lake and a great shot of the Electrical Water Pageant at night, which was really awesome. 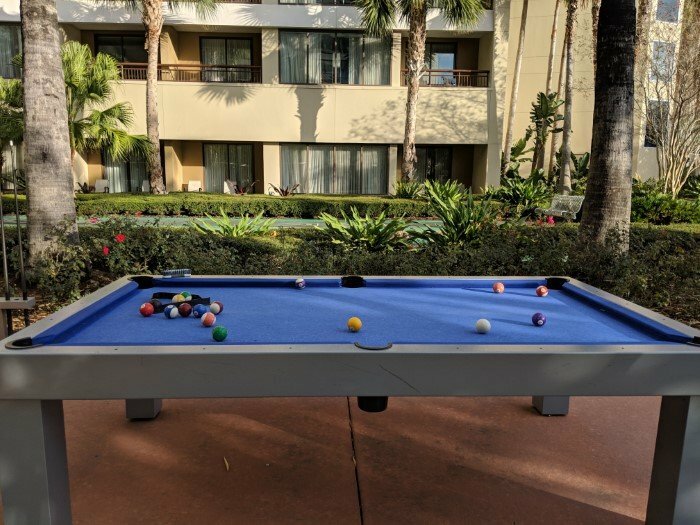 I did not get this view either time, but you can also get a great view of the pool. Speaking of the pool, I really like how Bay Lake Tower has its own separate pool area and because Bay Lake Tower is in one convenient building, you can easily get to the pool from your room. 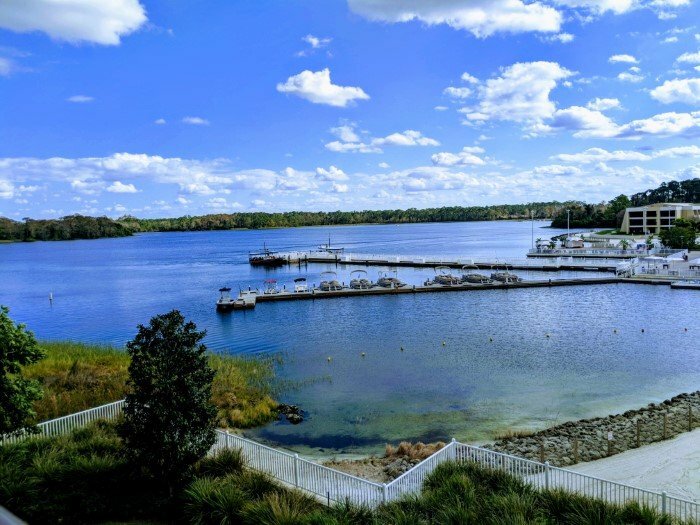 I really loved the water slide and I loved how you can see great views of Bay Lake while you sit in the hot tub. 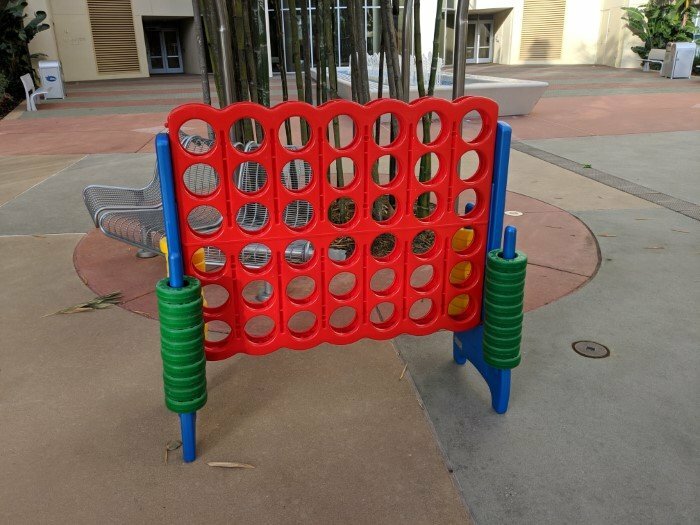 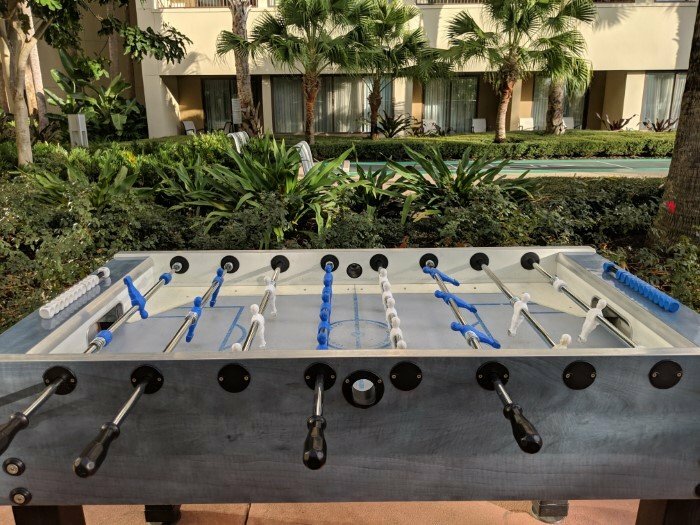 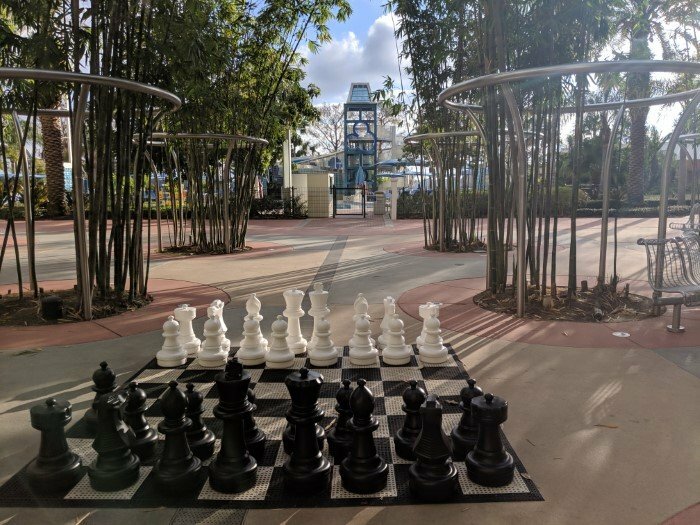 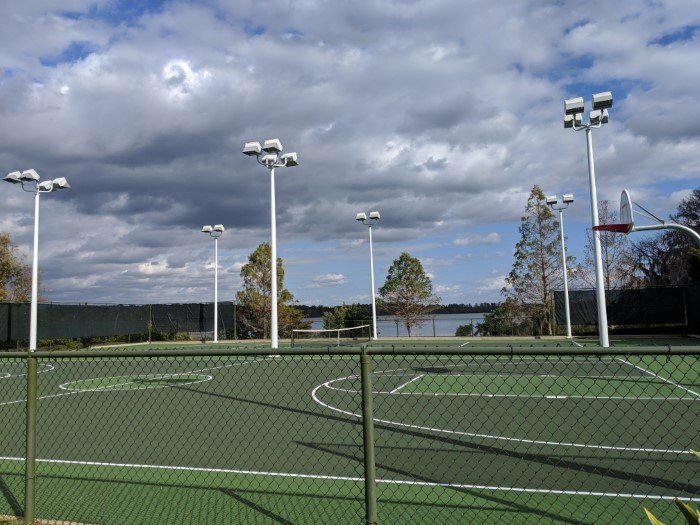 I also really loved all of the fun recreational items you can do that are conveniently located near the pool (foosball, table tennis, giant chess, etc.) 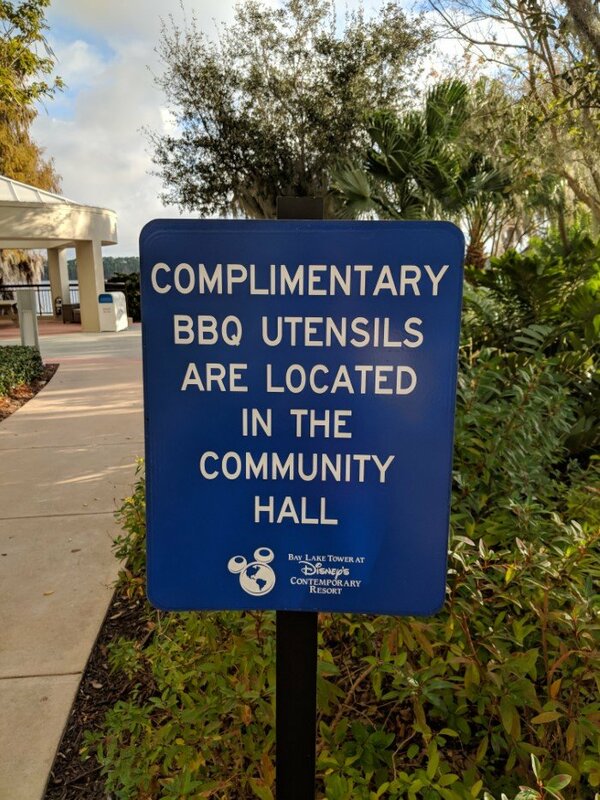 so that families can all find something to do and hang out together. 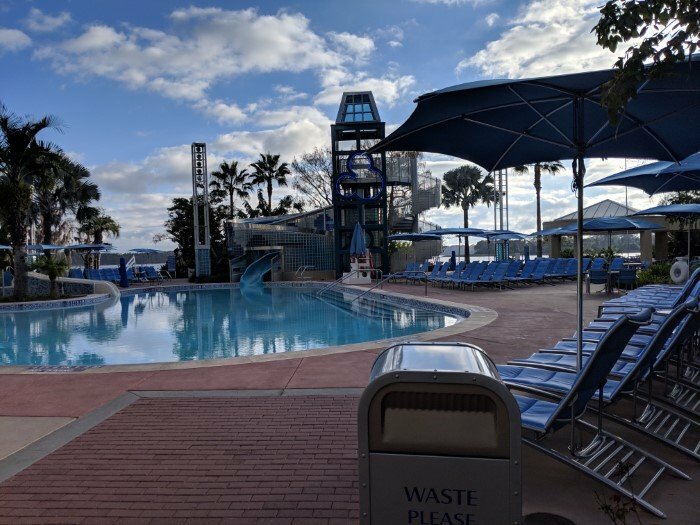 Additionally, there’s a great pool bar with food, drinks and a drink machine for the Rapid Refill system so you can even a nice afternoon or evening there and have lunch or dinner right beside the pool! 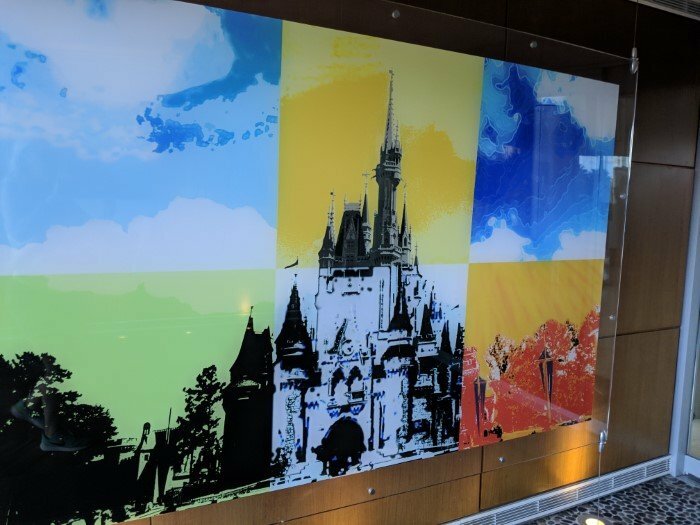 I really love the way the studios are designed. 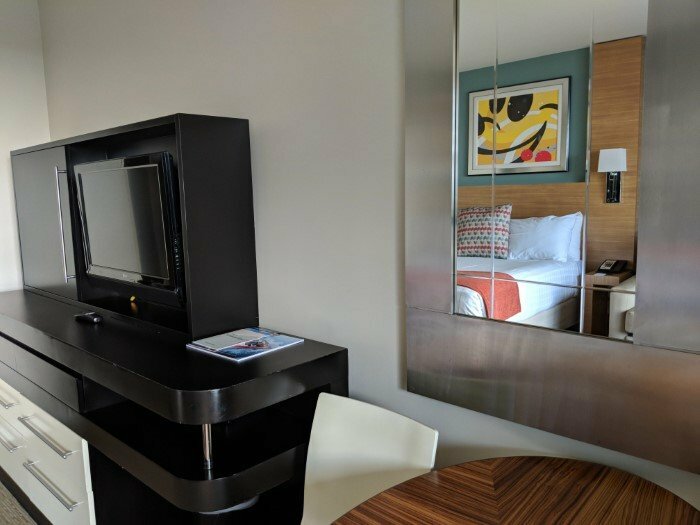 You have the living area and the bed with the pullout sofa (which I can report during both stays was quite comfortable). 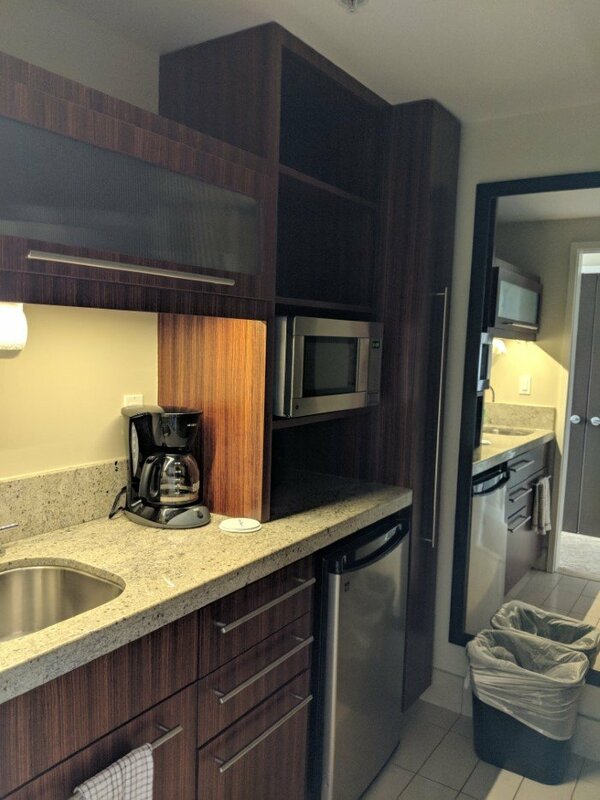 You then have a separate kitchen area, which is really awesome because you are paying for a studio but it is almost like having a 2nd room. 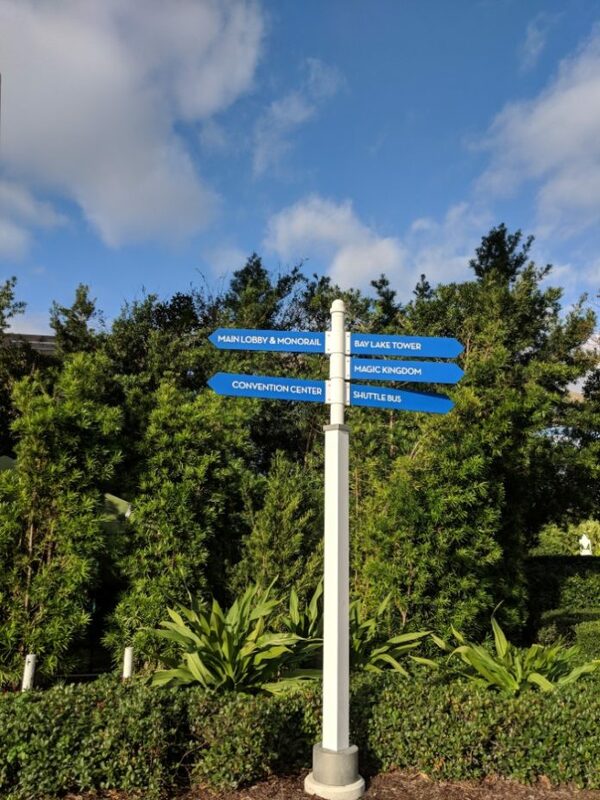 You can actually go there and be away from your family if say you are fighting with your spouse and you want a moment alone or you want to send your kid to time out. 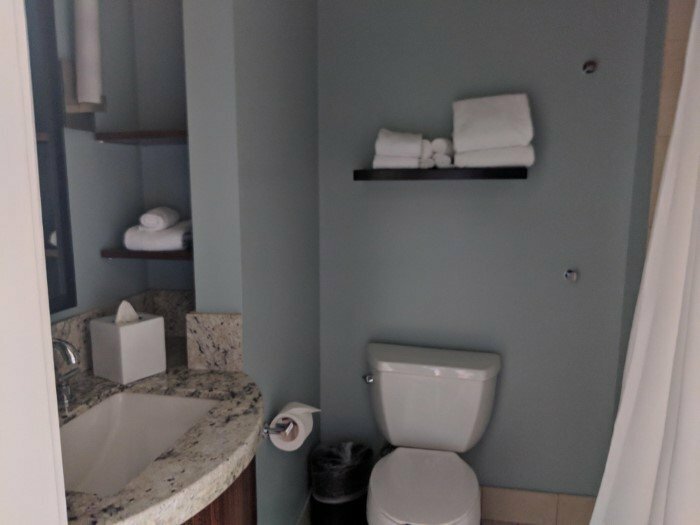 Then the bathroom area is so separate from the living room area and that you can get dressed and ready while feeling like you have privacy. 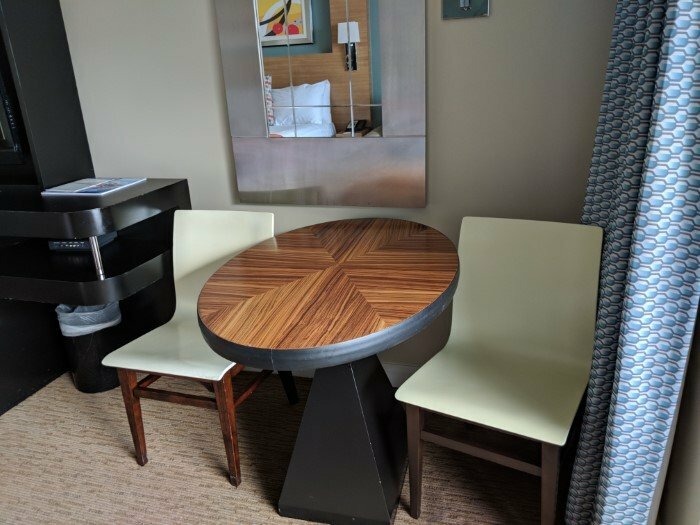 This is not always the case with hotel rooms; for example, at Saratoga Springs, the sink was separated from the bathroom but you could see the area while sitting in the living room. 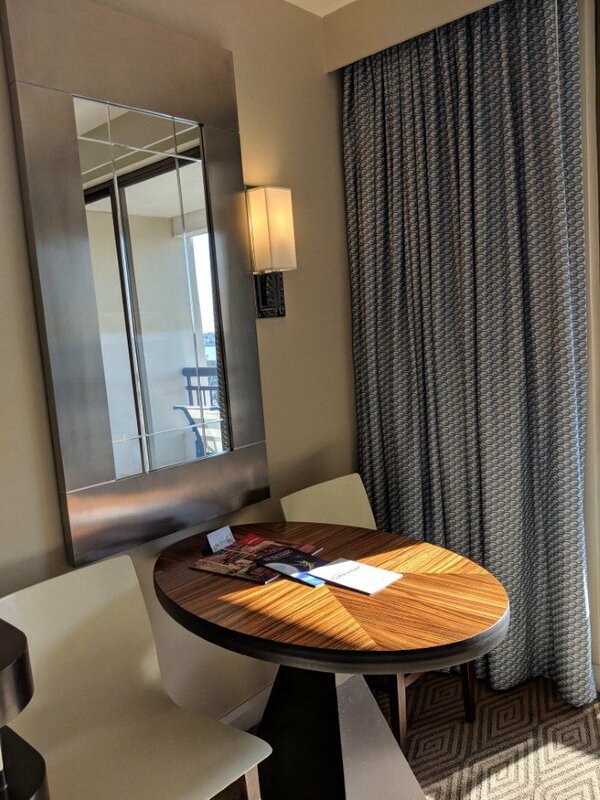 But at Bay Lake Tower, there is just a lot more privacy in the room, which I like. 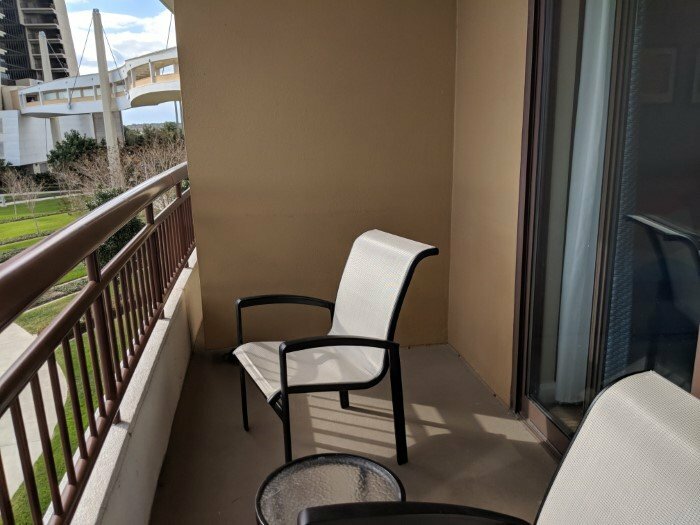 And you even get extra privacy if you step out on the balcony! 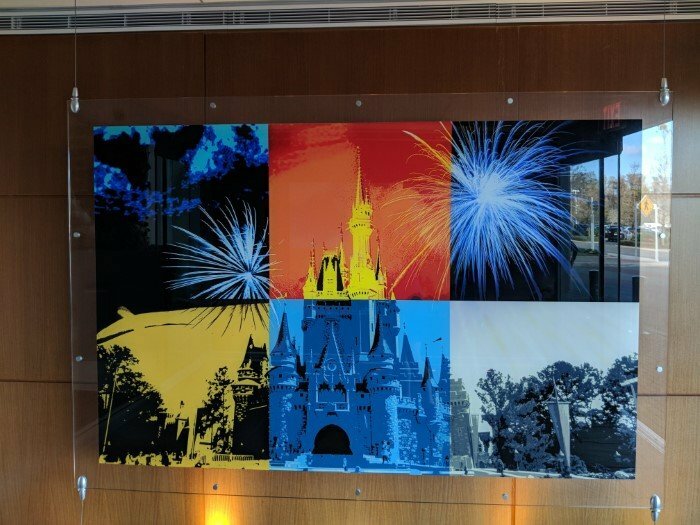 I really like the decor throughout the rooms and lobby. 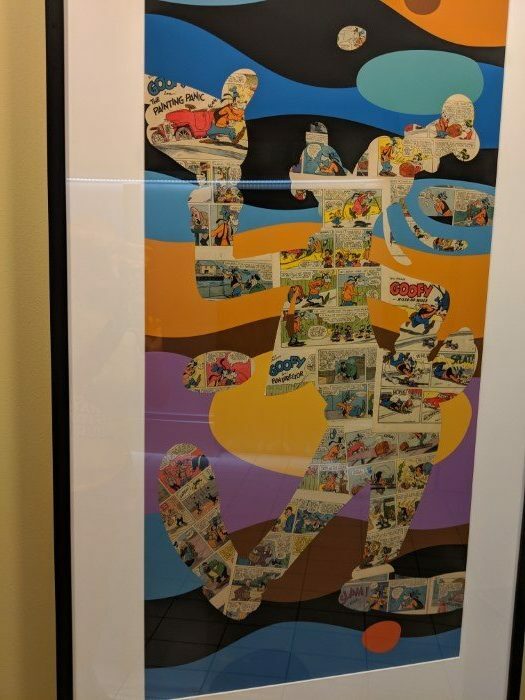 They are definitely Disney, with beautiful pictures of classic Disney characters (like Mickey Mouse, Donald Duck & Goofy) but at the same time there is not so much Disney that you feel overwhelmed. 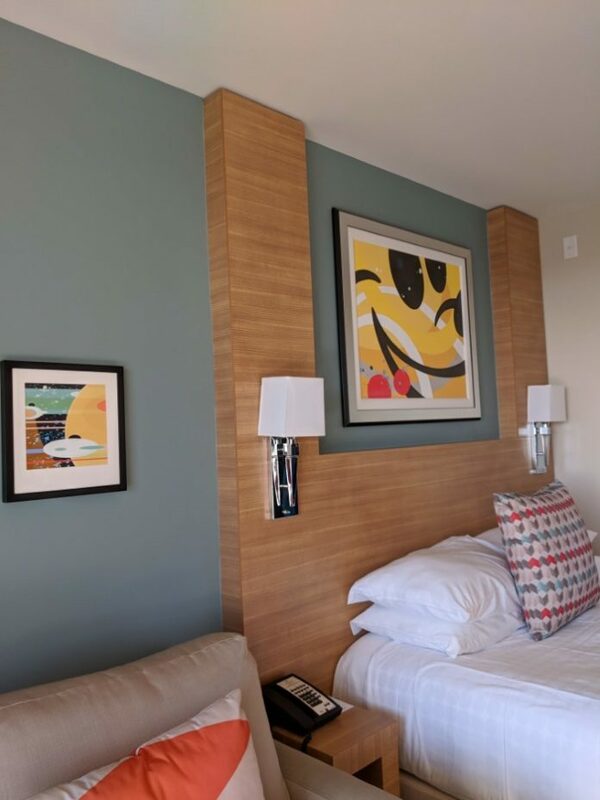 Now, don’t get me wrong; I love Disney and seeing Disney characters everywhere, but I know not everyone likes that and if you like your rooms to have Disney but not too much Disney, you will like these rooms and the building. 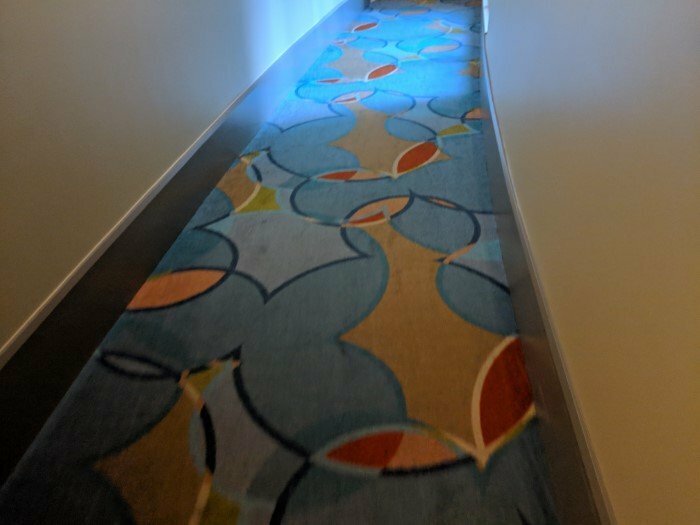 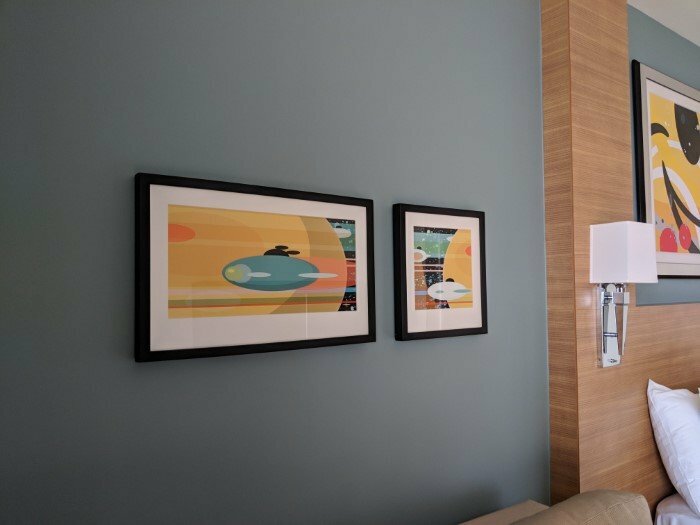 Staying at the main building of Disney’s Contemporary Resort is amazing, but can get very expensive. 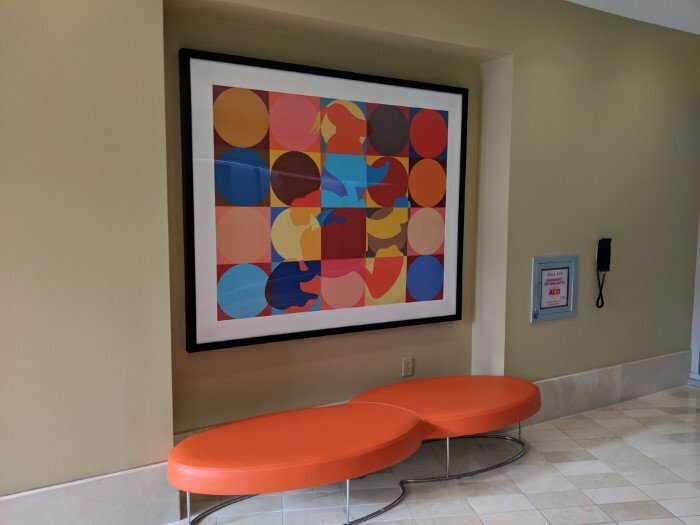 If you stay at Bay Lake Tower, though, you can pay a fraction of what you would pay at Contemporary, but with all the ammenities. 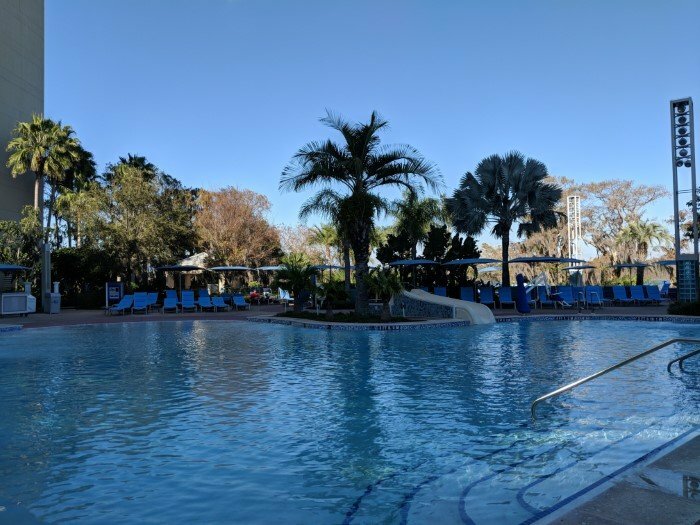 Just go through David’s Vacation Club and again check out this video to find out how to do that.